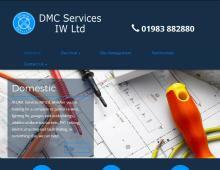 DMC Services IW Ltd are domestic and commercial electricians on the Isle of Wight. Their team of electricians on the IOW offer an extensive range of electrical services. Located in Ryde, DMC Services are qualified and experienced electrical contractors on IOW with a professional reputation for outstanding workmanship. They also provide emergency electrical services across the Isle of Wight. DMC Services have been preferred electrical contractors on IOW for over 25 years’ and provide reliable electricians on IOW for all jobs big or small. Looking for reliable electrical contractors on IOW for your home or business? Contact DMC Services to find out more information on the range of electrical services they offer on IOW.